By Karrar Haider in Mobile. Updated on January 28, 2019 . Learning a language is one of the most rewarding things you can do. There are a lot of ways you can learn or improve your skills in a particular language, from attending classes to self-learning. But have you realized that you can also put that smartphone of yours to really good use for learning languages? 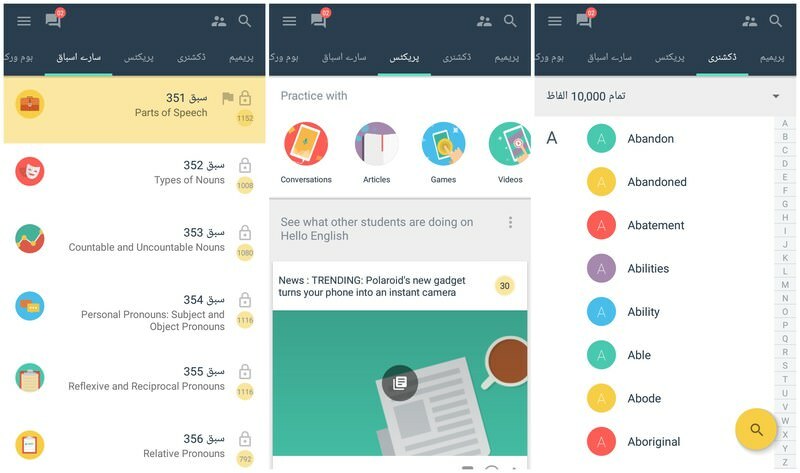 Whether you’re starting from scratch or just want to improve your English, here are 10 free mobile apps for both Android and iOS that will help you do just that. This is my first recommendation for anyone looking to improve their English. Hello English covers all the aspects of language learning, including vocabulary, translation, grammar, spellings, spoken, and reading skills. However, you should already be able to understand basic English structure and alphabets, the app can’t help you learn English from scratch. When you’ll first launch the app, you’ll have to select your native language to continue. There are 22 languages supported, and make sure you choose the right one as the app will work in your native language from here. Afterwards, you’ll be given a 20 questions test that the app will use to assess your current English level. According to the test results, you’ll be recommended lessons that will work best for you. For example, when I did a perfect score on the test, the app recommended me to start from the lesson 351. Although, when I did very poor on the test, the app recommended me to start from the lesson 1. 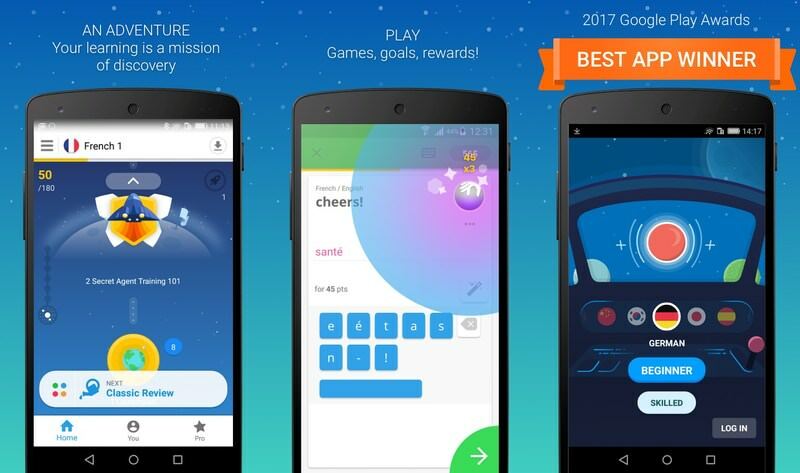 Hello English uses interactive games to teach different English lessons, and you’ll earn coins to unlock more difficult lessons. I can confirm that even experts can find some good lessons to sharpen their English. When I took some advanced tests, I was only able to keep 85% average score. 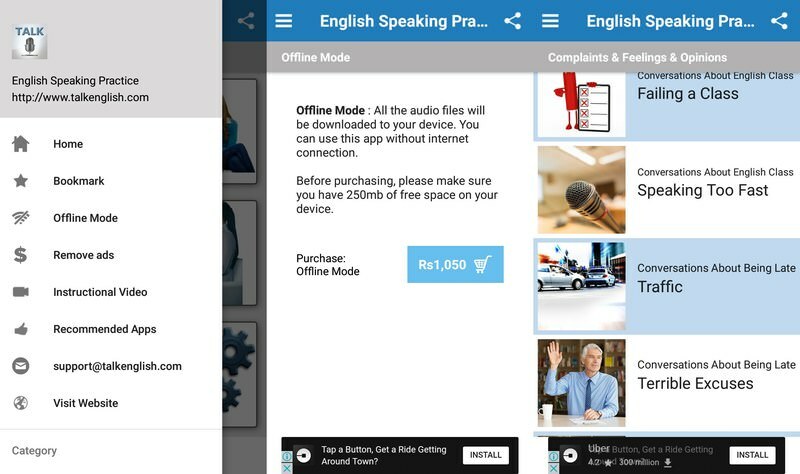 For practice, the app also offers new audiobooks, latest news, and books to keep enhancing your English language. Hello English is free and ad-supported, but there is also a premium version to remove ads and unlock special courses for a particular purpose. If you want to learn English from scratch, then this is the app you are looking for. 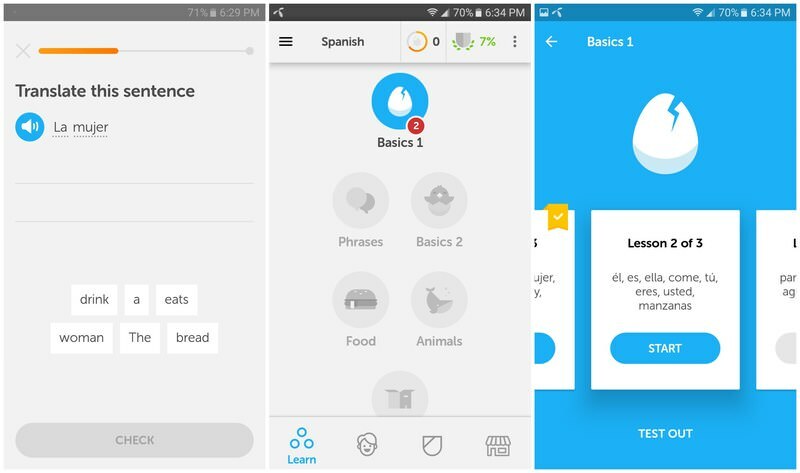 Duolingo uses interactive games to help you learn up to 23 different languages, including English. For beginners, the app focuses on helping you learn verbs, phrases, and sentences. Although advanced users can also improve their language by completing writing, speaking, and vocabulary lessons. You’ll have to choose the language you want to learn and your native language to start the learning process. Afterwards, you can confirm whether you want to learn the language from scratch or you just want to improve. Depending on your selection, the app will make you go through a simple test. This test will help understand your proficiency in the language and Duolingo will provide learning material accordingly. I was pleasantly surprised at the teaching strategy of the app. If you’ll make a mistake, the app will immediately use a different game to help you learn and correct it. If you’ll still make a mistake, it will use a different game to further help you understand. I just took two tests for Spanish language and it took me hardly 10 minutes to complete them. Amazingly, now I am confident that I can easily introduce myself in Spanish and ask basic questions. 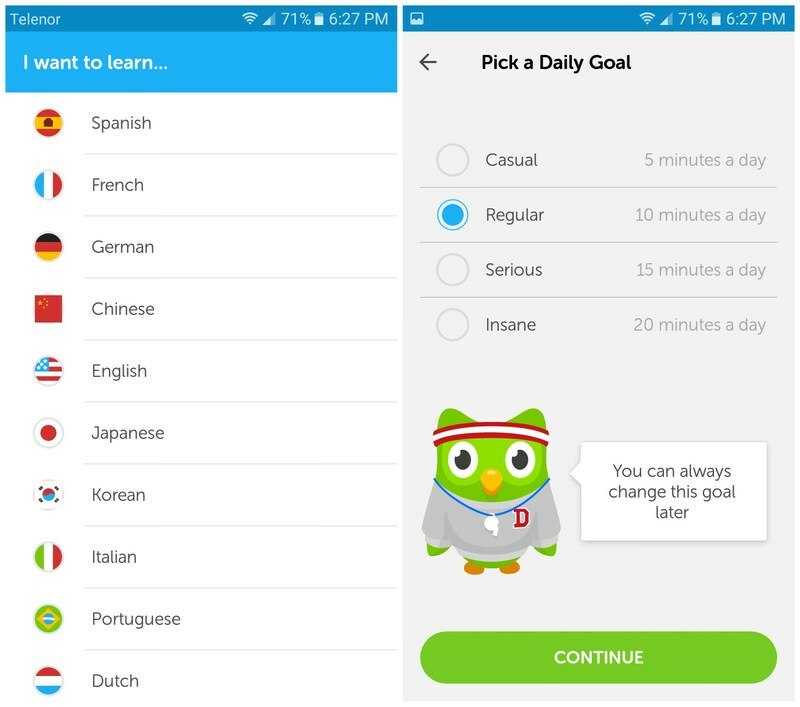 Duolingo is ad supported and has a premium version to remove ads and enable you to download courses for offline use. Overall, you can fully learn a language for free if you don’t mind ads and staying online. Both Duolingo and Hello English can help you learn English and improve it. However, when you are ready to practice your spoken skills in the real-world, you’ll need Lingbe. It’s a community-based app where people help each other and share their native language. It connects you with real people on call that are native in the language you are looking to learn. Lingbe has a language exchange system. To get talking minutes to learn a foreign language, you’ll have to first talk with someone in your native language and help them learn it. So it’s basically a give and take app where you are both the teacher and the learner. Overall, it’s a fun way to make friends, learn cultures, and learn a new language. 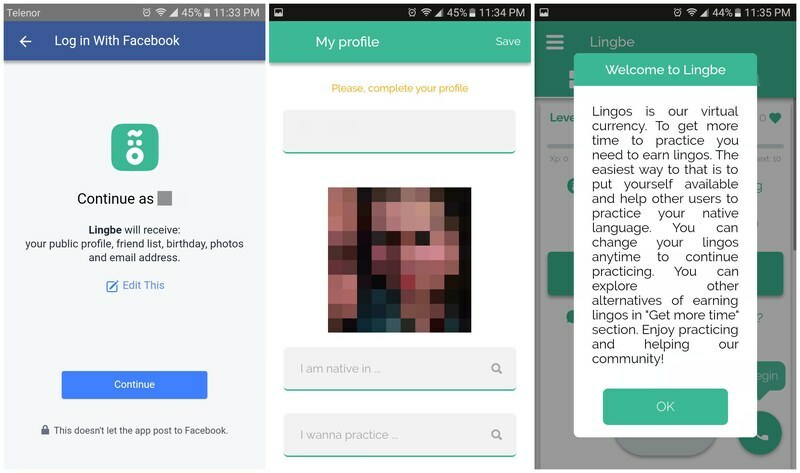 Although there are many apps like Lingbe that connect with native speakers, but I have selected it for its extremely simple user interface and rules. You just need to select your native language and the language you want to learn and then tell a little about your interests. This information will not be visible to other users, it will only be used to connect you with the right user on call. The main interface only consists of a button to start a call, and a button to confirm you are available or unavailable to receive calls. After your call, you can Like the person in the app to connect with them later. If they like you back, then they will appear in your Chats section as a friend. With the language exchange model I have explained above, you can use Lingbe for free. However, you can also purchase Lingbe coins to buy minutes to talk to native speakers of the language you want to practice. Memrise offers a large variety of courses for a lot of different languages, including English. These courses are actually constructed by other members of the Memrise community, making Memrise a crowd-sourced learning platform. Most of the lessons are gamified, and Memrise offers all the tools to let regular users create courses. busuu is quite similar to Memrise as the courses here are also created by native speakers in the community. You’ll have to start from a custom difficulty level and the courses will be provided accordingly. busuu additionally works as a social media platform where people with different languages can chat and share their experience. 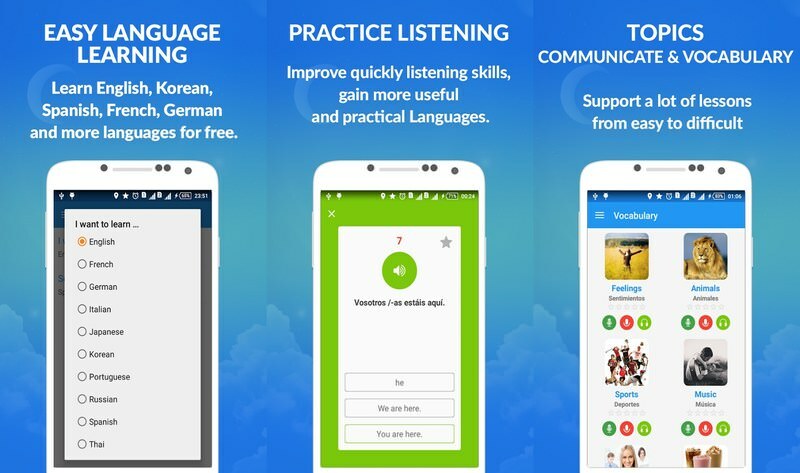 A completely free app that helps you learn over 4000 common phrases and vocabularies. The app works completely offline and there is tons of data to improve your English. 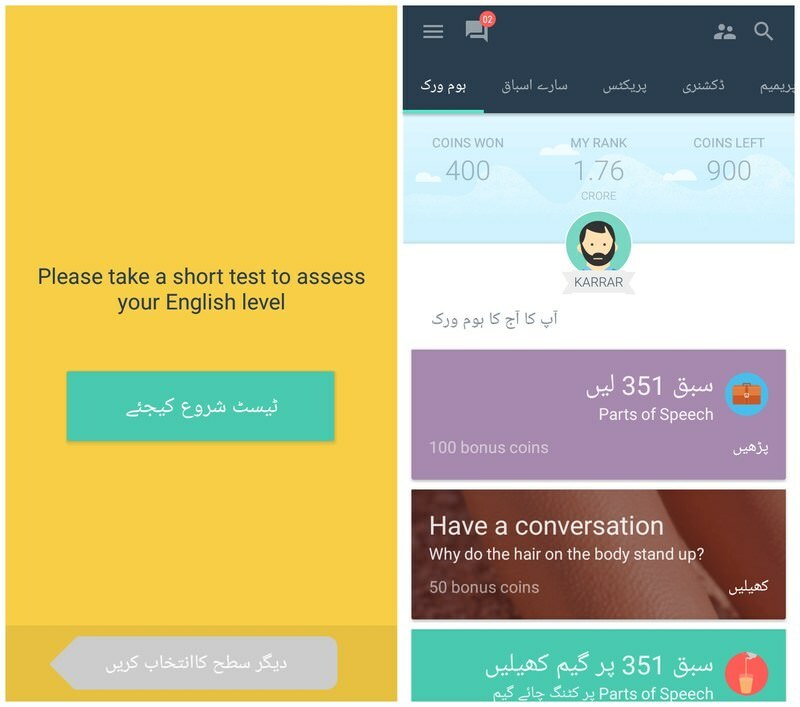 The app offers translations, audio and video lessons, and a bunch of language learning games. You’ll also get daily speaking, listening, and memorizing tests that ensure your skills stay fluent. 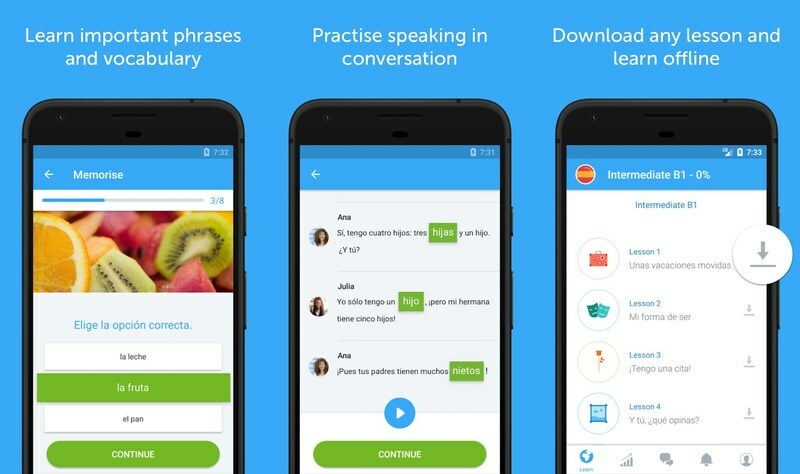 This app follows a simple approach to learning English by listening and speaking. The app consists of thousands of words and phrases narrated by native speakers. You can listen to those phrases to improve your pronunciation and memorize them. It also notifies you to speak sentences every day to keep your English fluent. 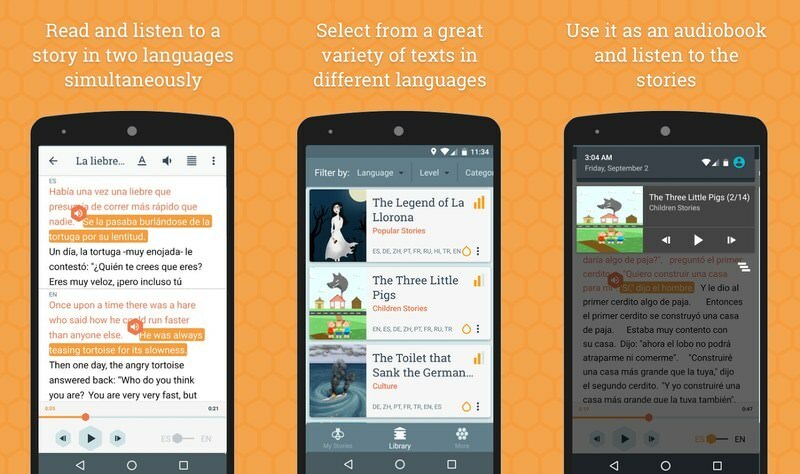 Beelinguapp uses audiobooks to help you learn different languages. You just have to listen to stories and novels in the language you want to learn and side by side read the text in your native language. Audiobooks lovers will surely love this app as they can listen to audiobooks of their interest and at the same time learn a new language. There are many free audio books to hone your English skills, but some are paid. 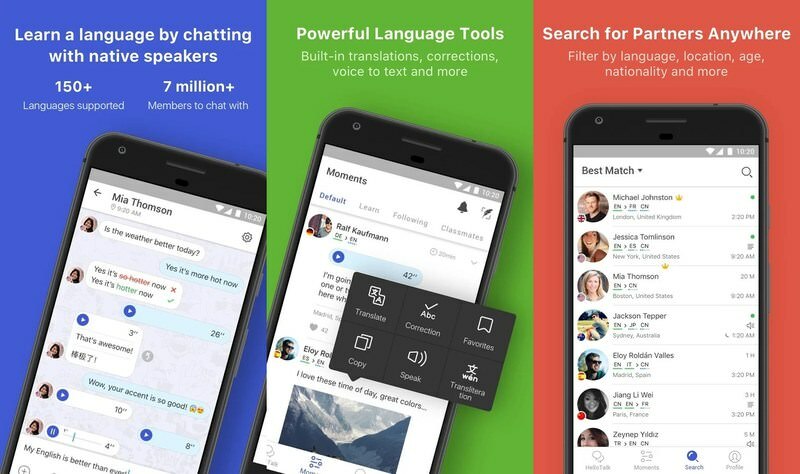 HelloTalk is similar to Lingbe as it connects you with native speakers to help improve your language skills. However, it adds a few extra features that might interest you. You can view the profiles of users manually to find a match that interests you. Additionally, you can also send text and audio messages, and even do video calls with other people. It’s a practicing tool to help you improve your pronunciation and create confidence to have a conversation in English. The app has hundreds of recorded conversations where you can listen to native speakers and then speak and record yourself. You can listen to yourself and a native speaker to compare and improve your pronunciation. You can also give Google Translate for Android and iOS a chance. 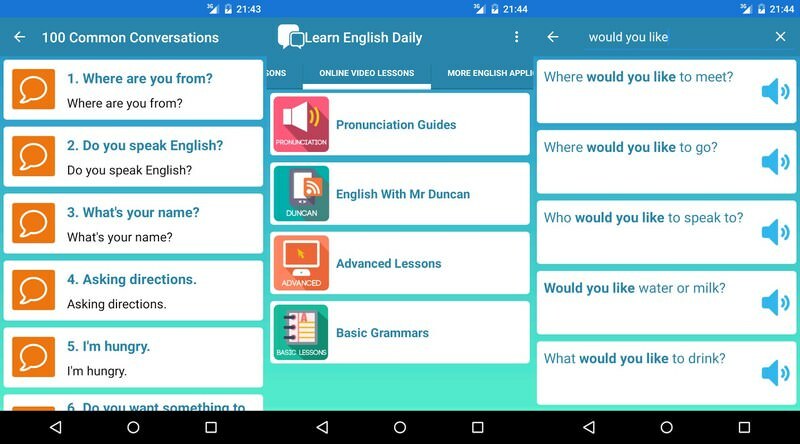 It might not be an app to learn English, but it gives you full control over what you want to learn. Instead of following a fixed program, you can simply translate any sentence you like and learn it in English. It also comes with tons of features to let you translate on the go-between 103 languages. If you are an English beginner, then I’ll recommend you to start from Duolingo and then use Hello English to take full command over the language. 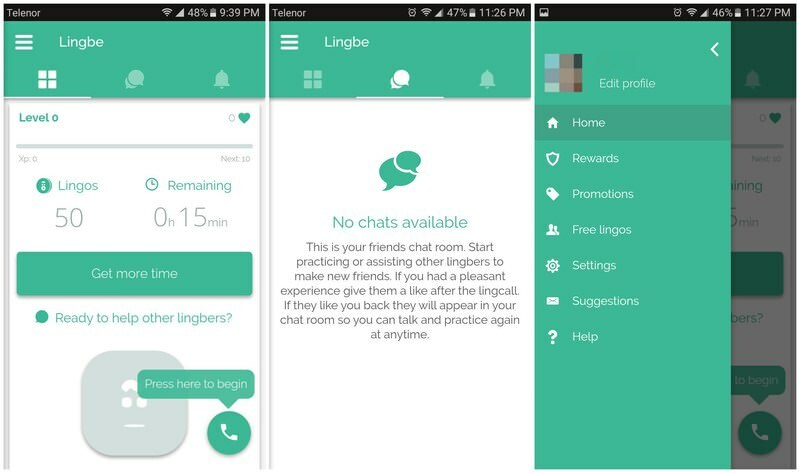 For fluent spoken English, you can try out Lingbe or HelloTalk. Do let us know in the comments which one of these apps you are planning to use to improve your English.